I’ve had the total eclipse on my calendar for almost a decade. I’ve planned and anticipated this for A LONG TIME! Fortunately the weather was perfect and everything came together for an experience that is indescribable. The brief moments of totality are nothing short of breathtaking. I was happy to share such a great experience with my family. Below are photos of the eclipse. My setup was an 8″ Newtonian telescope (essentially a HUGE f5 1000mm lens) with a Canon T2i DSLR at prime focus and a Canon T5 with a 250mm IS telephoto lens. Both were on a Celestron equatorial mount to track the sun and moon as they moved across the sky. 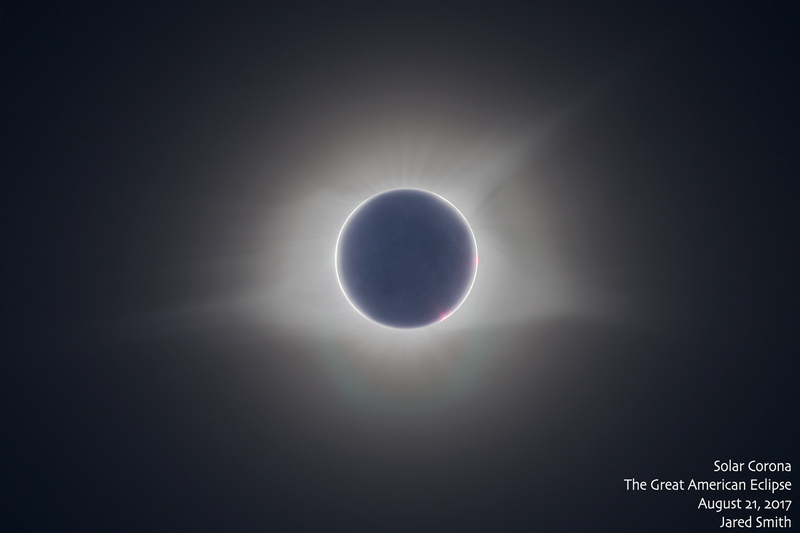 The photos were entirely automated using Solar Eclipse Maestro software. Bailey’s Beads are formed due to terrain on the moon blocking the sun unevenly. 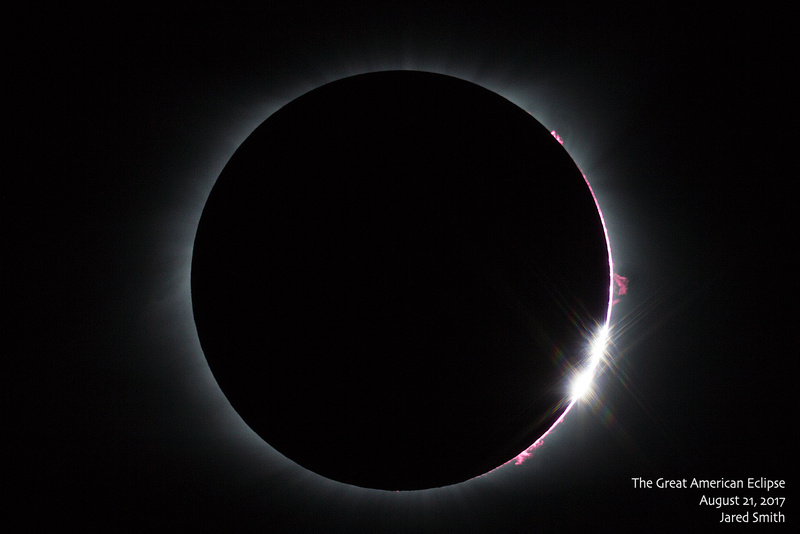 Solar filaments or prominences are seen at the right and bottom. These are huge loops of plasma that are attached to the sun’s surface and extend far off into space. Each sunspot is larger than the earth. 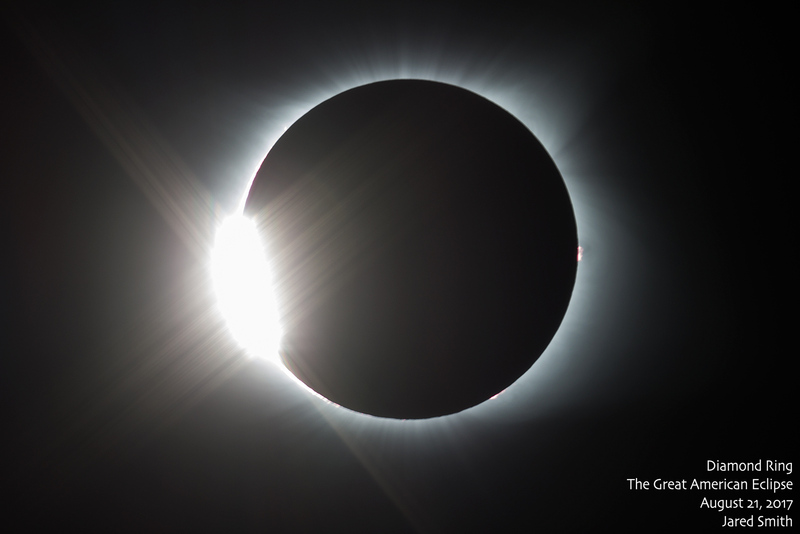 The diamond ring occurs just before and after totality. The solar corona is an aura of plasma that extends millions of miles into space. Earthshine – reflection of sunlight off of the Earth and back to the moon – causes the features of the moon to be visible. The red filaments are very prominent. The red light refracts in front of the sun – similar to how you can see red in the sky well after sunset. 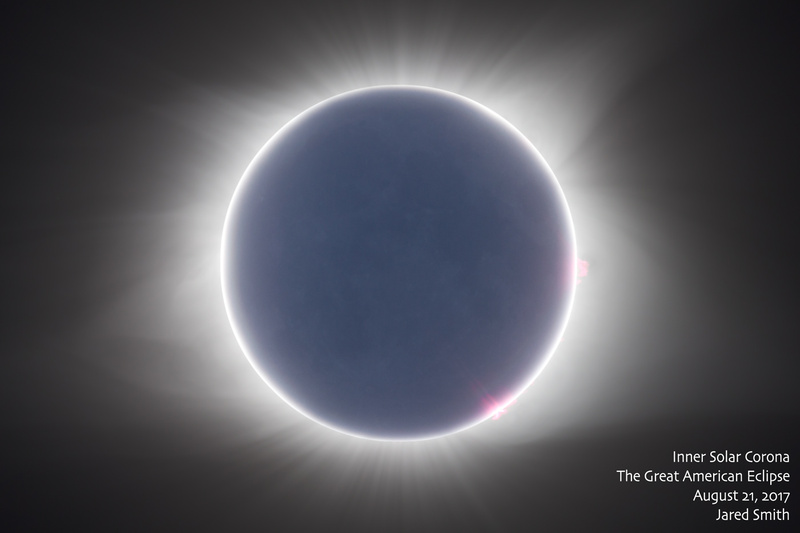 This is a composite of 12 different photos of varying exposures to capture the outer solar corona. Nearly 1000 of our planets would extend across the width of this photo. During an eclipse, shadows take on the shape of the eclipsed sun. 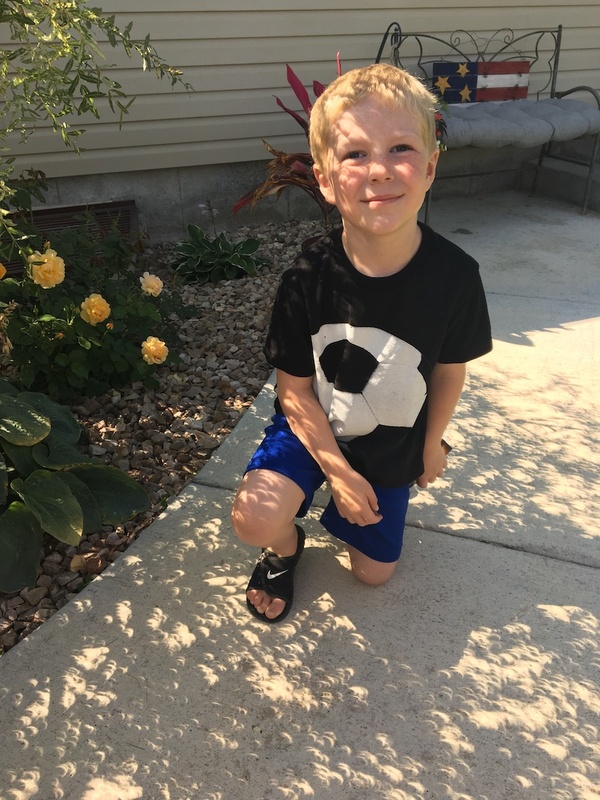 Here my son is surrounded by thousands of mini-eclipse shadows. 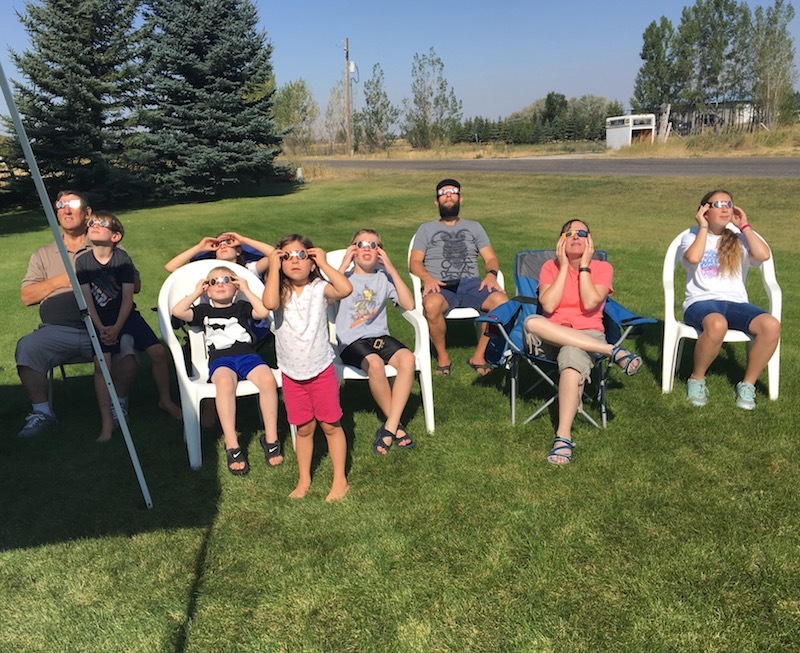 Here’s a video of our total eclipse experience. 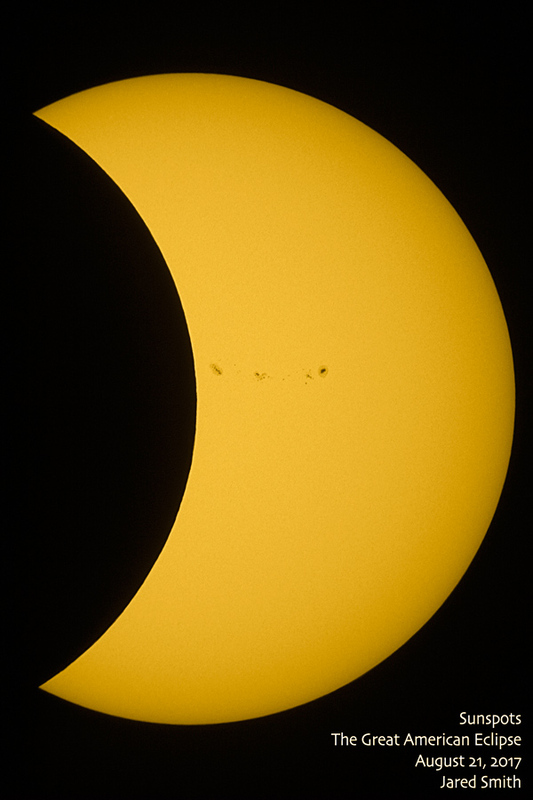 The “snakes” we speak of are shadow bands – they are relatively rare to see during an eclipse. Notice how quickly it becomes dark and then light again. The temperature dropped about 20 degrees during the eclipse.